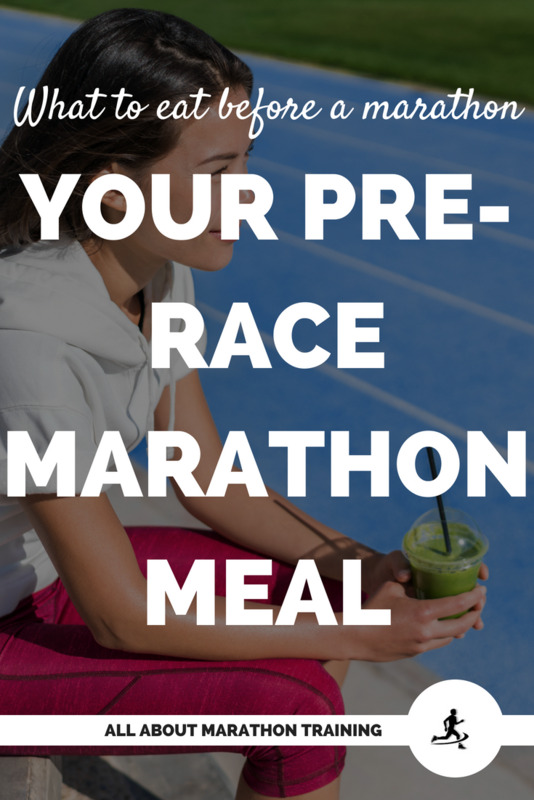 What to Eat Before a Marathon: 6 Pre Race Breakfasts! What to Eat Before a Marathon: 6 Pre-Race Breakfasts you can make the night before! 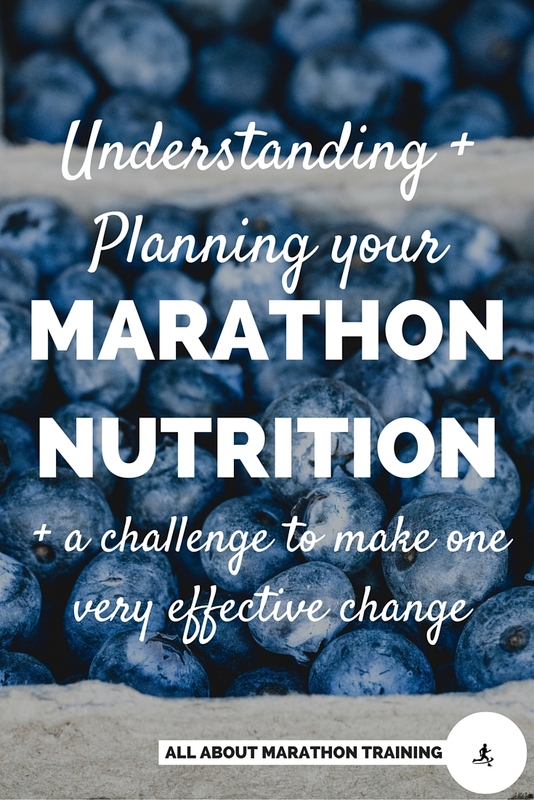 What to eat before a marathon is not a question you want to ask yourself on race day! Race day mornings are always such a mix of excitement and nerves. You don't want to have to think about what to eat before a marathon as well as: "How is the race going to turn out?" "Am I going to make it to the starting line on time?" "Where are the port-a-johns?" "Where is the transport shuttle?" 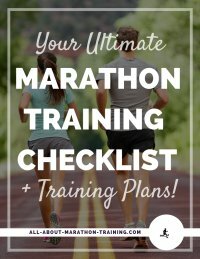 Quick Note: We talk about how to set yourself up for a great race day in our FREE guide on How to Train for a Marathon so be sure to go get it! So let's talk about some great pre-race breakfast/snack meals that you can make the night before. Amen. Do I have to eat before the marathon starts? 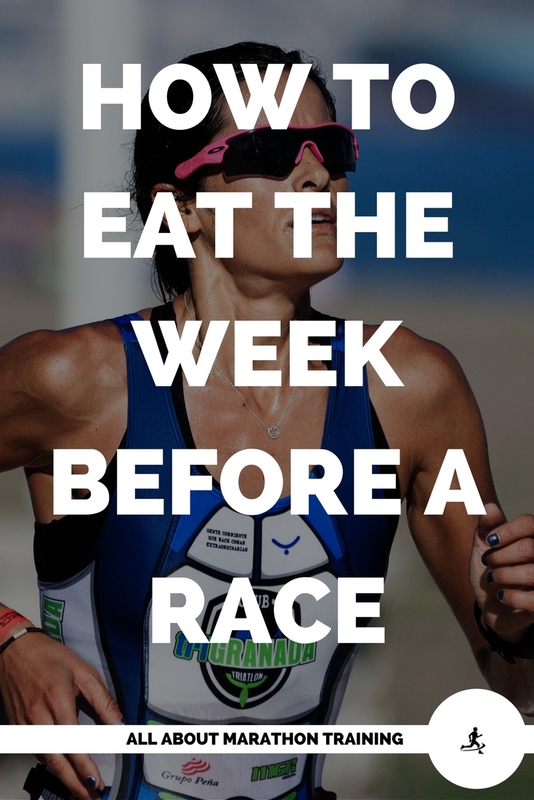 If you find that it is hard to eat even a light snack before you run then no worries, your pre-race dinner the night before should be sufficient. 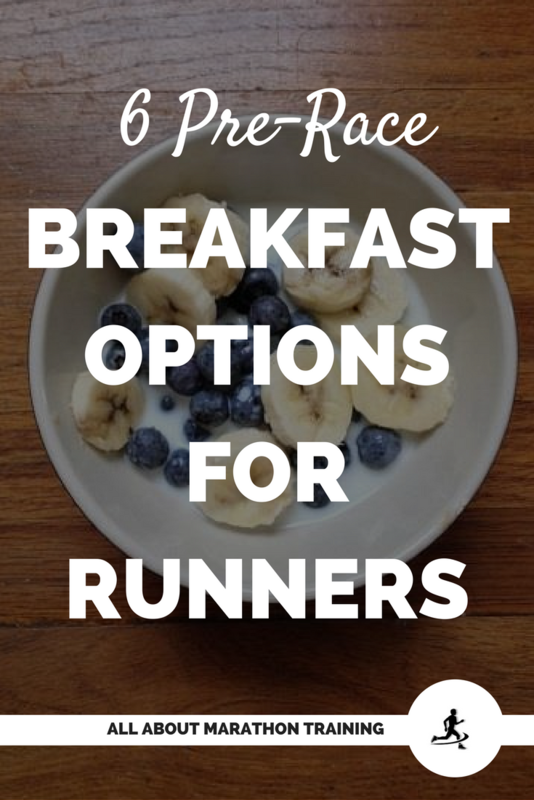 The longer your race is though, the more important your pre-race breakfast becomes. It does depend though on how you react with eating before running and you know yourself best! However when it comes to eating before running the old "no exercise for 1 hour after eating" is no longer applicable. We used to believe that the food would not start the digestive process if you started exercising soon after eating since blood is being shunted to the legs in order to allow us to run. We know that it is not as black and white as that now and eating before a run is really just a matter of preference unless like previously stated you are running a marathon and then eating before is more for performance based reasons. NOTE: If you do decide that you do not want to eat anything before the marathon then refueling during the race is even more important than it already is! So keep that in mind. What to Eat Before a Marathon: Here are your 6 breakfast ideas! 1. Kodiak Energy Packed Pancakes - Pancakes were my dad's go-to pre-race breakfast. A much healthier option than just a white pancake are the Kodiak Energy Packed Pancakes that are full of complex carbs, whole grains, non GMO, all natural ingredients and contains chia seeds, flax, quinoa, oats, and wheat. Just need to add water to the mix and them cook them up! Make them the day before, pop them in the toaster the morning of, and voilà! Or eat them straight from the fridge. If you must have them with syrup, opt for 100% maple syrup and not the high fructose corn syrup and other artificial sugars! Don't eat too many of them though! They are filling since they are stuffed with healthy ingredients and you don't want to feel full at the starting line. One or two cakes should be good. 2. A Smoothie to go! Smoothies are not only easy on the stomach, will digest faster and deliver energy quicker than solid foods but they have the added benefit of being able be stored in a to-go thermos and taken to the starting line. A quick, high energy smoothie blend could contain: plain Greek yogurt, 1 banana, 1/2 cup of milk, 1/2 cup of your choice of frozen berries, 1 cup of spinach, 2 Tb. Of ground flaxseed, and a bit of natural, plain applesauce for some more complex carbs. To make the night before simply add everything to your blender but do not mix it. Keep in fridge and blend it in the morning. A perfect way to do this is with the personal smoothie blenders that also doubles as a travel cup and serves up a quick serving size! 4. No Sugar-Added Banana Bread - this recipe is one of the recipes that is included in the 6 Week Half Marathon Challenge and the 12 Week Half Marathon Weight Loss Challenge because it's one of my favorites! So I had to include it on the What to Eat Before a Marathon Breakfast list as well! Preheat oven to 350 degrees and grease a bread loaf pan (9x5”). Mix the flour, baking soda, and salt. In a separate bowl mix mashed bananas with yogurt, honey, eggs, oil, and vanilla. Fold the banana mixture into the flour mixture. Don’t over mix! Pour batter into pan and bake for 45-50 minutes or until knife stuck in center comes out clean. (I find that it always needs a little longer. )Also, it makes great toast! 5. Super Fruit Salad - This is a great snack option for those who are running a marathon but have a harder time eating and then running. It's a little bit of a lighter breakfast option. Simply cut up your favorite fruits but try to choose fruits higher in natural sugars such as apples, bananas, and watermelon. When you cut it up the night before, store it in a container and cover the fruit with orange juice to keep it fresh for the morning! 6. Veggie Egg Burrito - This can also be prepared the night or even week before! Try to choose a whole wheat tortilla, then simply scramble up a some eggs, and sauté lots of your favorite vegetables such as bell peppers, spinach, mushrooms, onions and tomatoes. Then toss the two together and roll it all up in the tortilla. You can wrap them and store them in the fridge or freezer and just heat them up the morning of! 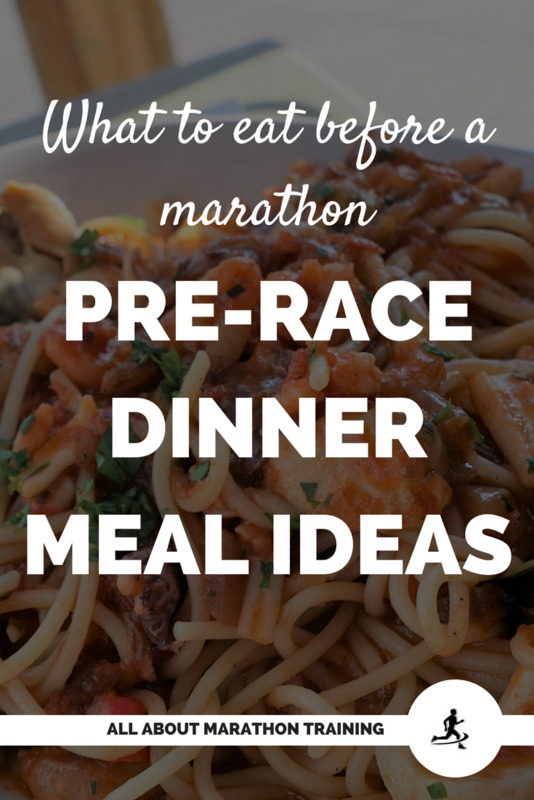 Hopefully these ideas will help you figure out what to eat before a marathon well in advance of race day morning! Being prepared is one of the best ways to have a smooth ride! 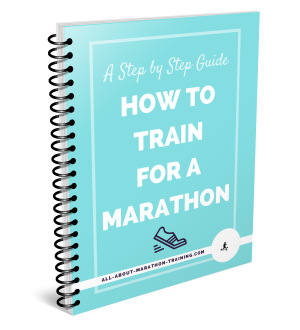 By the way, if you haven't done so yet, grab your FREE copy of our guide on How to Train for a Marathon: A step by step plan for success! 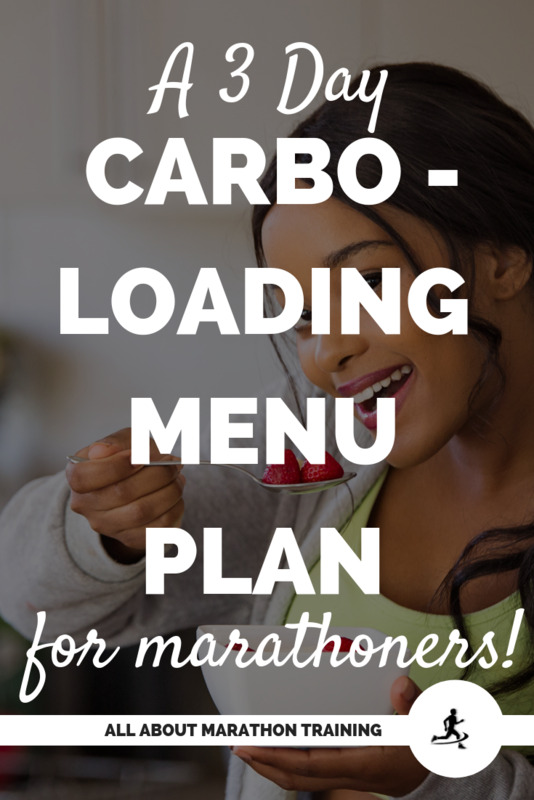 Action Tip: Right now, sit down and plan out in your planner, running log, menu, or what have you, all your ideas on what to eat before a marathon and any ingredients that you might need so that you can have it all prepped!